How should we respond to the challenge of death? As a society and as individuals, we can choose to be patient and sensitive, giving dignity to those reaching the end of their lives – even when those lives appear to have no further value. The period leading to death can be full of profound experiences, telling us much about the meaning of life and the abiding nature of love. If we see the terminally-ill as an inconvenience, however, we forego the possibility of finding unexpected resources in ourselves: a tenderness, a touch, a readiness to assist that we did not know we were capable of. 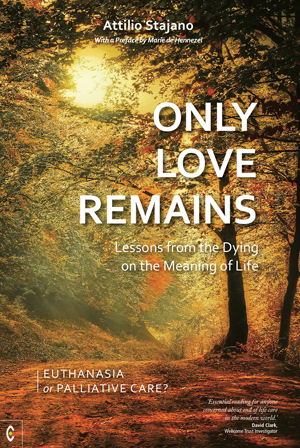 Underlying this book is the momentous and very current debate over euthanasia. In a comprehensive appendix, the author reports on the provision of palliative care services and the laws governing euthanasia in European and English-speaking countries around the world, and the implications these have for the way we value and care for the dying. ATTILIO STAJANO works as a volunteer at the palliative care ward of a Brussels hospital. He has been an industrial researcher at IBM, administrator of research programmes on Information Technology at the European Commission, university professor on Industrial EU Research for Competitiveness in Bologna and at the Georgia Institute of Technology in Atlanta, GA, and European Union Fellow at the University of Pittsburgh, PA. His website is www.stajano.org.